When shoppers enter a wrong shipping address, either if it’s a typo in the street address, bad ZIP code, or even just missing the suite number – the invalid addresses will cost your business time and money. 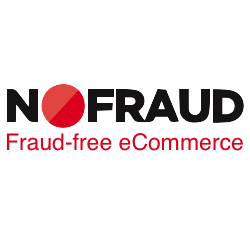 Issues associated to bad shipping addresses can delay the delivery of the order, generate a returned package to your business, end on the wrong address; and generate carrier imposed penalty fees that can easily add up and generate losses to your business. This add-on provides seamless integration with the Single Page Checkout and Multi-step checkout processes, to automatically verify and standardize the shipping address provided by the shopper. The Address Verification add-on will check the domestic destination address using the USPS address matching system. This will display the correct shipping address to the shopper during checkout, taking care of any typos and format issues according to USPS standards to avoid delivery delays. If there are multiple matches to one address - it will prompt the shopper for a selection giving the opportunity to correct the problem before the order is completed. Been using this app for about 2 weeks now and works like a charm. No problems with addresses and or returns from bad addresses. Very happy with product. It works good for the nine digit zip code correction, but the full address validation is not caught up completely with new addresses. Q: Will it capitalize all addresses entered at checkout ? A: Yes, because this is how the addresses are stored on the USPS Database that the information is retrieved from. This serves to ensure proper recognition of the address. Q: If an address is accurate except for caps and lack of ZIP+4, will it prompt the customer to change? A: Yes. This is because the database that the addresses are being pulled and compared from are written in caps. To avoid any possible confusion, the service will favor the all caps version. Q: Will the address verification change all addresses to ZIP+4? Q: Would this work for any country ? Q: Can you add a message that states "Your address may have been entered correctly, but USPS will change it to Caps" ? A: There is actually a message in place. 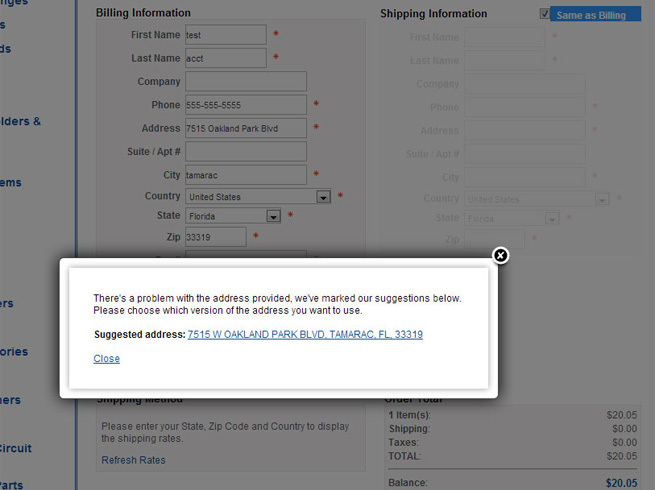 In the case that the address is corrected, it shows the new address in caps, and it lets the customer select to continue with the address as they entered or accept the suggestion. Q: Does this app work for international addresses?